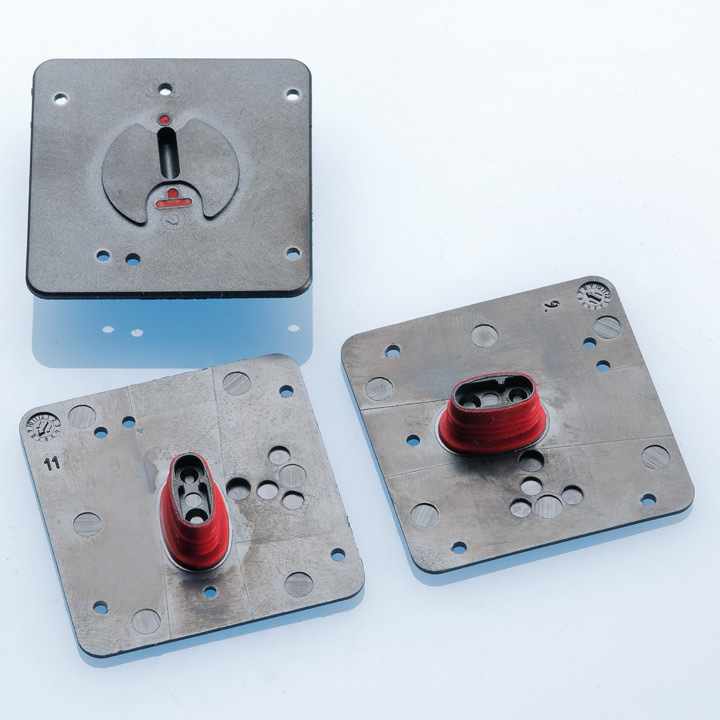 We have manufactured parts using the 2-component process for over ten years. Here a hard component (thermoplastic) is joined with a soft component (elastomer) in a continuous process to form a composite part. Thanks to the chemical bond between the different materials, excellent adhesion is achieved, without the thermoplastic part requiring chemical pre-treatment. This results in a very efficient and economical process. 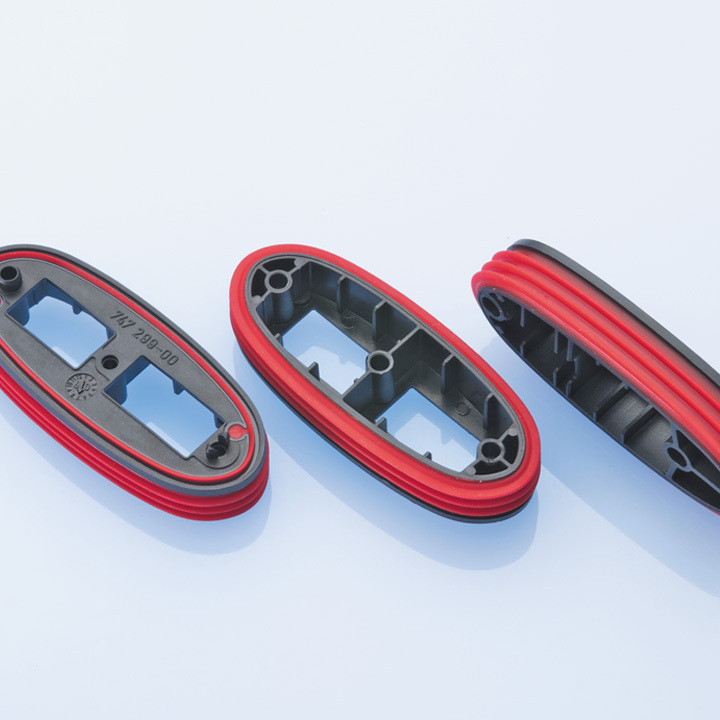 The 2-component technology is also ideal for parts with large batches. 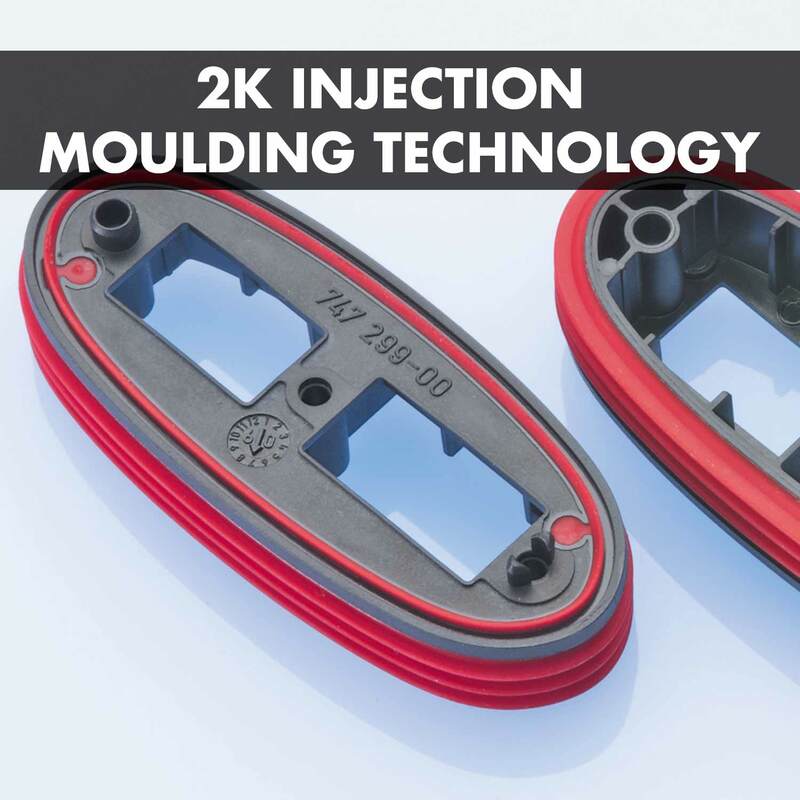 The method is particularly efficient for the use of liquid silicone rubber (LSR).